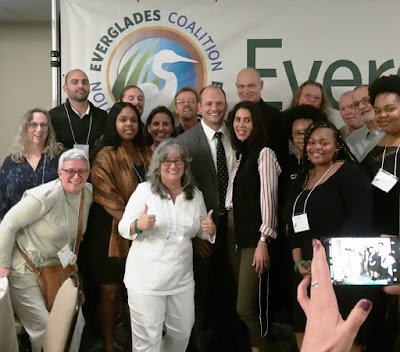 On Friday morning, Sierra Club FL Chapter Director Frank Jackalone gave opening remarks that introduced Sierra Club staff and volunteers in attendance and gave an overview of both our vision for restoring the Everglades and our response to Governor DeSantis’ executive order on water policy reforms that was announced the previous day (check out our press release here). He also introduced our invited keynote speaker, Dr. Jaeson Clayborn. 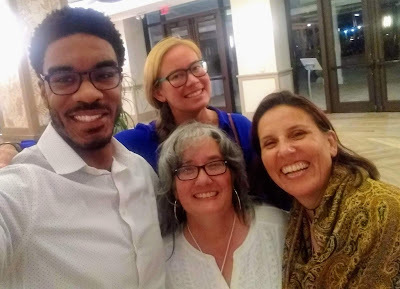 Dr. Clayborn, an enthusiastic biologist who recently earned his PhD from Florida International University, described his work to restore habitat for the federally endangered Schaus’ swallowtail butterfly within Biscayne National Park and his research on threats from the red imported fire ant. 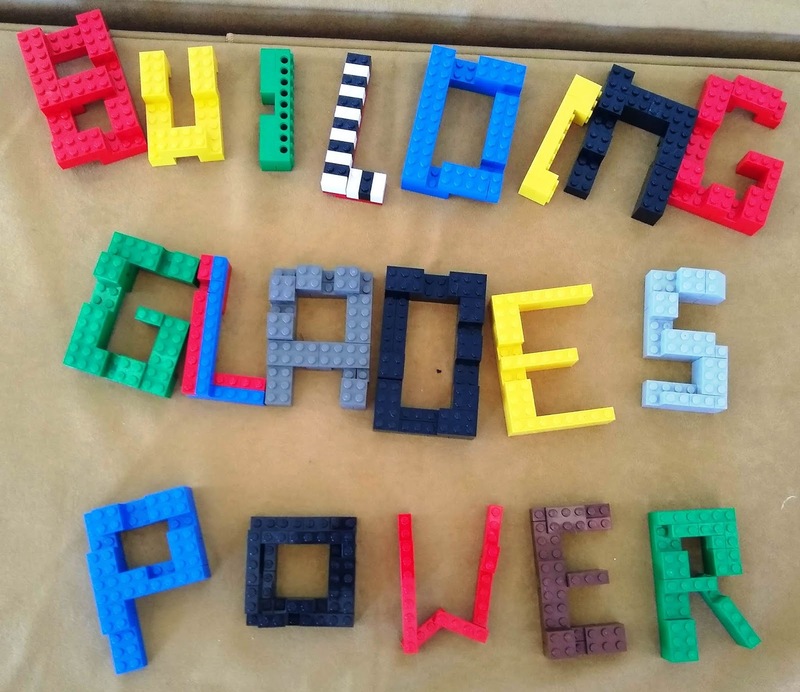 He also gave us a preview of a fun interactive game he’s developing to motivate young people to care for endangered butterflies and recognize the threats to their existence in South Florida . He did a terrific job teaching us all how to tell the difference between butterflies, moths, and skippers! To learn more about his work, including his STEM outreach, visit his website. 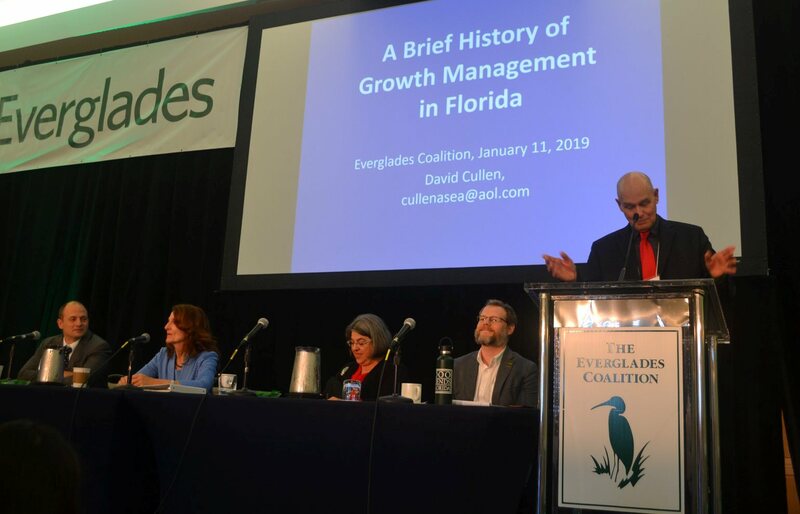 Sierra Club FL Chapter’s state lobbyist Dave Cullen moderated the lively plenary “Managing Growth Before It’s Too Late” which was organized by our Everglades Restoration Organizing Representative, Diana Umpierre. The plenary brought to light the urgency of strengthening the state’s oversight role as well as local and regional land use coordination and citizen participation. Panelists shared their perspectives on why this is important and the ways to improve state planning law to make it a meaningful state priority program that facilitates restoration and ensures that continued development is sustainable. 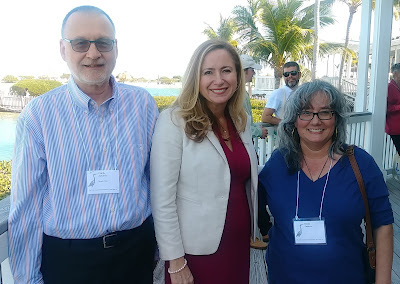 The panelists included: FL Senator José Javier Rodríguez, Miami-Dade County Commissioner Daniella Levine Cava, Collier County Commissioner Penny Taylor and Thomas Hawkins, Policy & Planning Director with 1000 Friends of Florida. 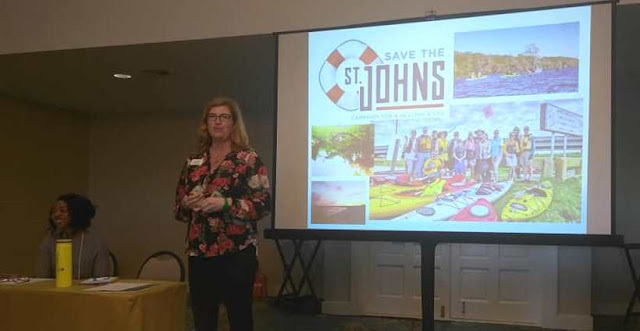 Diana Umpierre also served as a panelist on the breakout session titled “Buy the Land: How will Florida Spend the Constitutional Land Acquisition Trust Fund (LATF) Money?” The panel discussed the 2018 decision by Judge Dodson that ruled that monies from the 2014 Constitutional Amendment 1 may only be spent on acquisition and restoration of conservation lands. The session was moderated by attorney Alisa Coe (Earthjustice) and other panelists included: David Guest (environmental attorney), Jim Gross (FL Defenders of the Environment) and Shannon Estenoz (Everglades Foundation). Diana shared examples of where LATF funds should be used to advance Everglades restoration and protect critical natural lands and wildlife corridors within the Greater Everglades ecosystem. 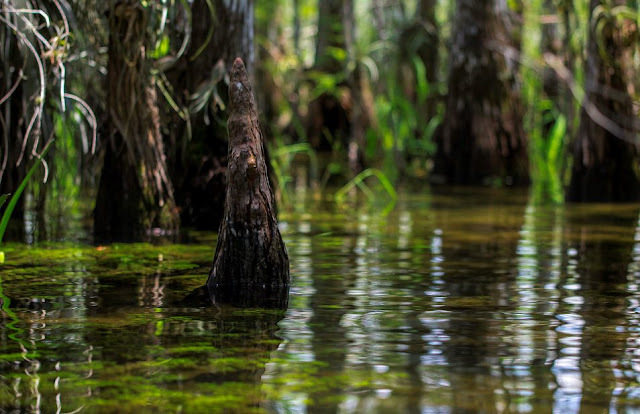 Examples discussed included land in the EAA (long established as essential), north of Lake Okeechobee, within the Everglades Headwaters National Wildlife Refuge, and in the Florida Forever Priority List. Patrick Ferguson, Organizing Representative for the Stop Sugar Field Burning Campaign, moderated a breakout session titled “Green Jobs and Restoration in the EAA: A Match Made in Heaven.” Panelists discussed the opportunities for family-sustaining green jobs that can support the Glades’ local economy and the environment, by replacing pre-harvest sugar field burning with green harvesting within and around the Everglades Agricultural Area (EAA). The panelists included South Bay activist Kina Phillips, Larry Williams, Jr., Labor & Coal Coordinator, Sierra Club Labor Program, Andrew Martino, Category Manager - Sugar & Sweeteners for Global Organics Ltd. Dr. Isabel Lima, a research chemist with the USDA Sugar and Energy Project, was unable to attend the conference due to the partial government shutdown but her presentation was shared with the audience. The topic of a just transition from the status quo to a greener and more equitable post-restoration economy was for the first time ever explored at the conference and the discussion will be the jumping off spot for much more to come. Sierra Club also brought voices together from North and South Florida on a session titled “Everglades and Florida’s Springs: Common Ground, Common Cause”. 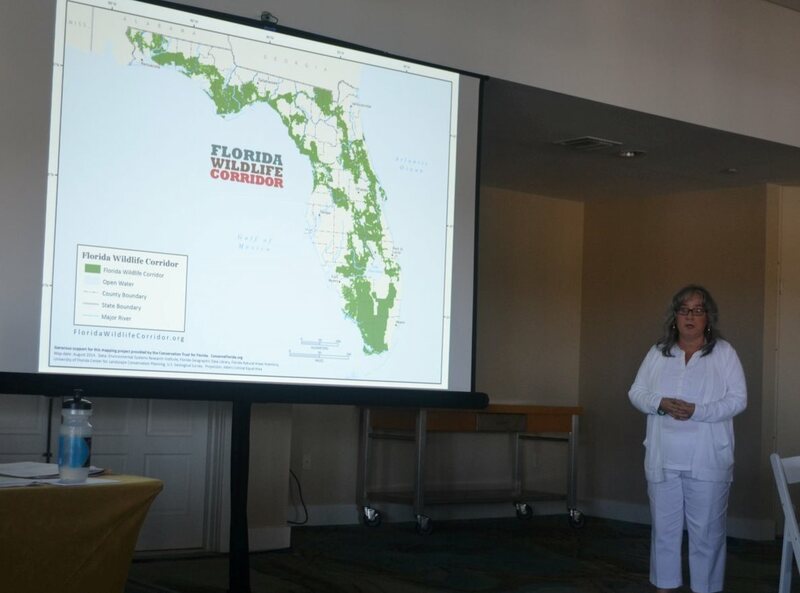 The session was moderated by Sierra Club's Our Wild America Florida Organizing Manager Cris Costello. Panelists discussed how nutrient pollution and decades of mismanaged water resources, absence of protective regulation, and defunding of water protection agencies have negatively impacted not just the Everglades, but also Florida’s freshwater springs, lakes, rivers and coastal communities in Central and North Florida. Panelists spoke regarding the need to join forces to protect these precious water resources and identified common ground and collaborative actions they would like to take to address shared interests. Panelists included: Ronstance Pittman (Jackson County NAACP), Dr. Robert L. Knight (Howard T. Odum Florida Springs Institute), Lisa Rinaman (St. Johns Riverkeeper) and Rae Ann Wessel (Sanibel-Captiva Conservation Foundation).